A successful brief is clear, concise, and communicates your vision in simple, easy-to-understand language. Remember, your brief will be seen by hundreds - maybe even thousands - of our Creators so it's important that they understand the full scope of what you want to achieve. Speed is one of the cornerstone values of 90 Seconds and due dates are key. Let us know exactly when you need your video so we can plan timelines accordingly and ensure expectations are met. Note: you will need to confirm a project deadline before we can get started on your video, so if you're "Not Sure" at the moment one of our Producers will work with you to put a plan together. Where do you want to shoot your video? This is where you want your shoot to take place. Location details provided here will be used by your Project Producer to match the perfect Creator Team so be sure to double check that you've added your location of choice. How much would you like to spend on your video? Here at 90 Seconds we don't want anything to hold you back from your video creation dreams - especially cost - which is why we offer four different service levels to cater for your different needs. Let us know your budget so we can tailor a quote specific to your brief. What did you have in mind for your video? How many videos do you want creating? Do you need any cut-down versions for social media? How many shoots do you need? Do you already know the exact locations or do you need help sourcing these? Do you want to include graphics, animation, voice over, music tracks in your video? Do you need help with creative ideation and scripting, or do you just need some to execute on your existing vision? If you already have a brief, storyboard or shot list, you can also upload this here. Have you seen any similar videos that you are using for inspiration? 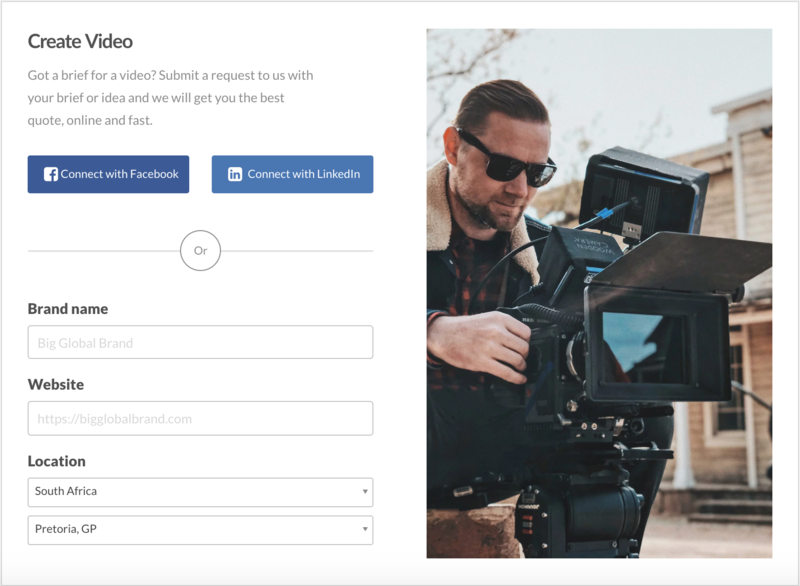 Here you can upload videos, images, or any other supporting media to clearly communicate to your Creators exactly what you are looking for. Kindly leave your details with us, so we can contact you at anytime via email or mobile should we require more information in regards to your video needs. Communication is key! Simply hit 'Next' and one of our expert Producers will get back to you within minutes.